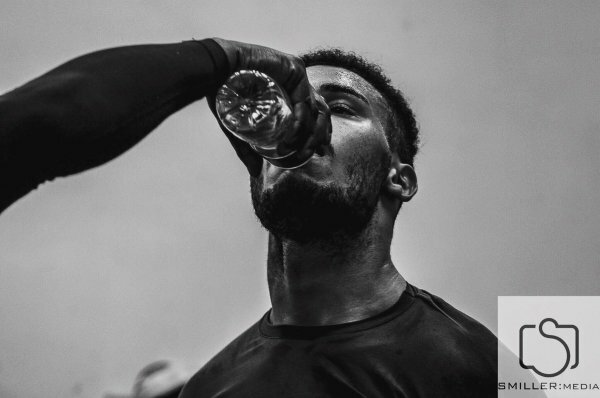 What goes on before a fighter sees the bright lights of fight night? The hours in the gym, pushing the body to breaking body and understanding the fundamentals required to make it to the top of the sport? 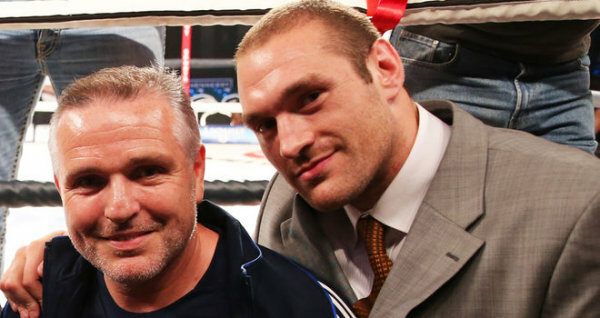 We spoke with top trainer Peter Sims to give an insight to what it’s like as a trainer working with some of the UK’s best fighters. Just as training to get in and fight is life consuming, so it the role of the individual tasked with making the fighter hit their peak. Not only do they have to do the hours in the gym with their charges, they also need to ensure they devise the right training schedule and plans for fights. So starting at the beginning, how does Peter train a boxer? “I try to teach the basic fundamentals of boxing, I like the 50’s & 60’s style of fighting but I also like to teach fighters new things and look at modern day fighters. 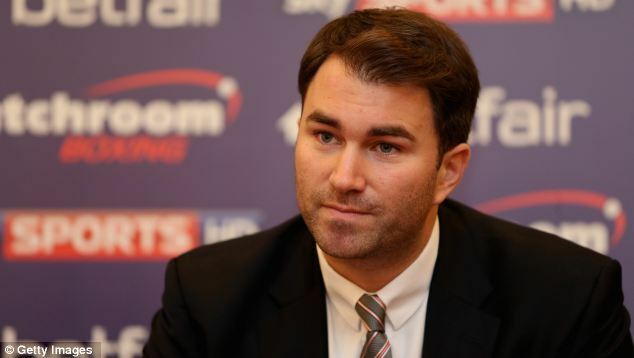 It’s good as a coach to keep up with the times.” Spencer Fearon, respected Sky pundit and also a man involved in the careers of various fighters today, has spoken on his podcast about the need for fighters to go back to basics and utilise skills that the best of bygone eras used. Is that a view that Peter shares then? Not all fighters can be world champions, and what makes a fighter a great fighter can be subjective. Defensive ability, offensive sharpness, poise, anticipation. Not all skills can be learned – there are certain attributes innate to the top level pugilists. What are the key requirements as far as Peter sees it? “One of the key attributes in professional boxing is if a fighter can punch. If you’re a pro fighter and you’re not a big banger it’s an uphill struggle, always having to do the distance in fights over 10 or 12 rounds in title fights. If a fighter can bang then I can teach them the basics of boxing.” One example Peter gives is Lee Purdy – a man with a very short amateur career that Peter took under his wing and went on to fight for world and European titles, as well as winning the British and IBF intercontinental straps en route. 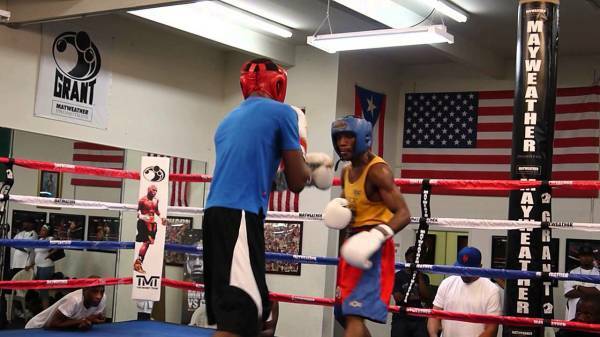 Four knockout victories in a row between 2012 and 2013 earned him a shot at IBF welterweight championship. Although it may sounds obvious that punching hard is a prerequisite to becoming a top boxer, not all fighters are blessed with the ability. Only this weekend we saw a prime example of what Peter said about an uphill struggle – Josh Warrington went the full 12 rounds with Joel Brunker in Leeds despite convincingly winning most, if not all, round. But he didn’t threaten to stop the Australian, who had previously been halted by the Welshman Lee Selby. Another fighter in action this weekend is Peter’s own boxer, Lucien Reid. Much has been made of the 21 year old from West Ham in London, signed now to Matchroom Promotions. When Peter speaks about him there is an air of excitement, as if he knows there could be something special in the fists of this featherweight. How highly does he rate him? “He’s an elusive, spiteful fighter. Outside of the ring he’s one of the nicest kids around, as most fighters are, but I call him ‘lethal’ because the first time I saw him spar he was! He’s got great skills, he can switch it up, has fantastic speed in his hands and he can punch as well.” He is still untested as a professional, having had a single fight back in May against journeyman Elemir Rafael (30-93-3). Reid did finish the fight in the fourth and final round, so what can we expect from him in the future? It’s a harsh reality that a fighter has to face, and Sims puts it bluntly enough. Either you’re not good enough or you don’t want it enough. Being a world champion is an aspiration for all young fighters as they set off on their professional career, and one that only the elite will reach. With that in mind, are there fighters that Sims doesn’t accept to his gym? It is clear from talking to Peter that although he doesn’t say it (and perhaps may not realise it himself) he has another role in these fighters career – father figure. This become clearer when we discuss what happens on the day of a fight. Nearly all boxers I have spoken to cite the hours before an event as being the longest in the build up to a fight, and each have their own way of handling it. For Peter, it is something that he is happy to take a hands on approach with. With that we end it. 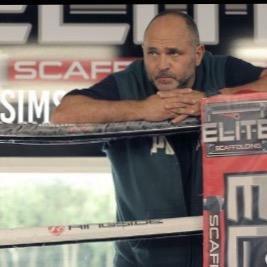 Peter Sims displays all of the characteristics in our brief chat of not just a boxing coach but as a man who offers guidance to his fighters. Stern to the point of bluntness when required (if you’re not good enough you’re not coming in) but able to offer his time and support to those that he invests his time in. It is said in football that a good coach is one that makes his players want to run through walls for him. Although the art of brick demolishing is not one that Sims lists in his training methods, you suspect his fighters would sacrifice their bodies to do so if asked.